All the content in the blog is available free of charge and can be found in the menu to the left. Over the past year I’ve become aware of many active projects in Israel – at least 20 sites and applications – related to the various aspects of Digital Death. Most of these projects were the result of a personal experience. When I contacted them I was surprised to find that most had not heard of each other. They were unaware that their innovative initiative was part of a larger, up-and-coming social and technological field that has yet to be acknowledged. Additionally, three people are working on another three sites in this field that have yet to go live, one of which stemmed from the death of the entrepreneur’s mother. They too were almost completely unfamiliar with the Israeli sites that exist in the field. Yonatan Yisrael’s olamim.co.il – a platform for creating memorial sites. And I haven’t even included the Avelim site (offering digital obituaries) or companies that offer QR bar-codes on gravestones. ifidie (mentioned below) ceased operations at the beginning of 2016. Docady (mentioned below) went offline in July 2016. Memontage went online in September 2016, by Tovit Nizer and Noa Zehavi Raz. Founders: Ayelet Hirshfeld and Mickey Bergman, childhood friends. Management is in the US, R&D in Israel. Finances: Privately owned and funded. The first round of fundraising will begin soon. Subscription business model. Target audience: Private people and businesses who will offer the service as part of their service package. This is a service that allows users to determine ahead of time which actions will be carried out in their online accounts after their death. These can range from money transfers and cancelling subscriptions to sending pre-composed messages and transferring account control to someone else. Capsoole is the result of brain-storming among its founders regarding the affect death has on a person’s loved ones and their digital heritage. The founders became involved in this topic following unfortunate experiences and challenges that Mickey went through after a tragic death in the family. How does your service assist in managing digital footprints? Ayelet Hirshfeld: “Today the only available solution is to trust a 3rd party (e.g., family, friend or trusted lawyer) with this information so they might implement the person’s will in the event they become incapacitated. This solution has limitations, such as the need to update a third party every time a password is changed. This is especially important for financial institutions because when a person becomes incapacitated, or during the first 30 days after they die, their assets are vulnerable to fraud. Our solution will instantly alert the financial institution of the customers’ situation, thus allowing them to proactively prevent fraud during this sensitive time. Without Capsoole’s solution, it would take at least two months to alert the financial institution to the customer’s situation”. What differentiates this project from other projects in this field? Mickey Bergman: “We are the only company that, in case of an emergency, allows automatic implementation of one’s pre-determined action plan without sharing sensitive information with others or placing an additional burden on loved ones. Our delayed execution solution solves the technical and legal barriers of transferring full ownership of a digital existence to someone else. We are also the only service that allows automatic notification of an individuals’ incapacitation during an emergency”. “We would like to see our solution duplicated across a variety of fields, from finance to social media, health, travel, companies’ institutional knowledge, etc”. “We believe that individuals are entitled to fully own their digital existence and we would love for Capsoole to provide people with the tools to do so. This path is long and steep. It requires a legal framework (currently digital-account providers claim ownership of individuals’ content) and the technical capacity to exercise such rights. We offer services to financial institutions such as "Protect My PayPal”, which sends instant notification to PayPal in case of emergency to protect individual accounts from fraud. As our assets increasingly assume digital form (books, music, pictures, documents etc.) people are realizing more and more that they would like to do something with those assets. While social media is taking control over how we communicate with people, we understand that this too is our legacy”. Founders: Nadav Naaman and Nadav Weizman. The company works out of Tel Aviv. Finances: In August 2015 the company raised $1.5 million in seed funding from the Pitango Ventures Capital Fund and other investors. Target audience: Currently the focus is on US citizens but the service is open to everyone. This application not only enables photographing and digitizing important documents so they are easily accessible, but also sharing them and receiving alerts and notifications regarding them. Nadav Naaman: “We provide easy and secure access to all important documents, both those scanned through the smartphone and those stored online. The application also uses an innovative picture-processing application to understand the significance of each document and what it ‘needs’. That way we are able to update the user regarding expiration dates and upcoming deadlines”. How is this related to Death in the Digital Age? “We are used to thinking that paperwork is relevant only so long as we are alive, but many documents continue to be an important part of our loved ones lives even after we die. Our goal is to prevent situations in which people are left without a clue regarding how to cope with digital life after the death of their loved ones. My father would ask me, “When are we going to go over my affairs so you’ll know what’s what and where everything is? You know I won’t live forever…” The idea of sitting with him and going over things was really depressing and I know many would rather avoid such a conversation. Docady creates an easy way to manage these exact things. My dad now manages his documents easily and simply on Docady, and has provided me with access to the stuff I need”. “We would like to form strategic partnerships with a multitude of services – government, financial, insurance or legal – that can help streamline the bureaucratic process for our users”. “The tragic loss of a friend much too young meant my group of friends and I had to spend weeks going through paperwork in order to help his widow deal with all the important documents she now had to manage. Obviously my friend never expected that he would die young and leave his wife in such a difficult position, but that’s exactly the point – you never do expect the worst to happen. We founded Docady to serve as a solution that would help make it easier for people to prepare for life’s unexpected moments. You are rarely by your computer or filing cabinet when you desperately need a document, and trawling through Dropbox or Gmail to find a digital copy is time consuming. We solve that problem, making it easy to access your important documents whenever you might need them by bringing them all together in one user-friendly place. We have a built-in camera scanner, but we also offer a completely unique feature: collecting any potentially important documents from existing online storage accounts or email services, and then allowing users to swipe through them to store any relevant docs in the app. This makes it easy for you to instantly find the document you need whenever you need it. It’s tough to keep on top of your important documents and to deal with renewals or updates. Our app leverages cutting-edge image processing to extract important information from digitized documents and understand what they actually mean. Documents are more than just a slip of paper or a digital image – they have a life of their own and often require certain actions to be performed. By understanding what your documents mean and what they ‘need’ we are able to notify our users of upcoming deadlines and expiration dates in plenty of time, allowing them to take care of things without pressure. We also make it easy to share documents across family members, spouses, or even lawyers and accountants. Preparedness is at the center of what Docady is about. We’re trying to encourage users – and make it easy on them – to think about things in advance and make sure that if the worst should happen, they are as prepared and as organized as possible. One of our greatest breakthroughs was the understanding that while we’re definitely solving a personal problem for each individual user, the value and importance of our solution multiplies when it comes to families. While many people struggle to get a handle on organizing their own personal documents, this struggle becomes infinitely harder (and in some ways, more important), when you have to manage the paperwork and bureaucracy for an entire family”. Founders: Alon Nativ and Roni Nimri (Aley Shalechet). Offices in Ra'anana. Virtual safe: secure backup service to save important documents and allow sending them onwards after death to beneficiaries selected by the user. E-Z-Safe was created following the colleagues’ need for access to passwords following a death. Gil Arbel, VP: “I don’t think there is a difference other than the local difference of Hebrew. The whole micro-cosmos of this niche offers pretty much the same things; some do so better than others. The field of digital safes has been comparatively frozen since Google brought in the Death Switch model [the possibility of managing an inactive account – V.S.] as part of its basic account definitions”. So why is E-Z-safe necessary? “A regulatory system has yet to be built to regulate the issue of digital death and the relationship between the user and the various internet platforms. Profit-driven companies do not necessarily represent all of the users’ interests or heritage. A digital safe removes the fear of losing control of your assets after death”. Founders: Erez Eshel, Michal Porat, Eran Alfonta. Offices in Ramat Gan. Finances: During the seed funding stage was financed by three investors: an Israeli businessperson, an American investor and an American fund. Target audience: The general public, focusing on English and Portuguese speakers in North, South and Central America. Listed users: Hundreds of thousands. Exact numbers were undisclosed. This is a Facebook application for leaving secure personal videos or text messages that will become public or be sent privately as predetermined by the user, after the user’s death. The application was the result of a personal experience: some five years ago, a friend of the founders went abroad for a few days with his wife, leaving the children behind. Following a minor accident on a high-way the idea came up of an internet service that would allow recording a digital will. The will would be sent to family members in the event of the user’s death. Eran Alfonta: “When we launched the app it was considered ground breaking – until then there had been no real solutions in the field of digital wills. The major advantage is the complete accessibility we offer a person in order to build his digital heritage: you can add, edit or change the recording at any time and so create a long-term digital heritage”. “We chose the social aspect, therefore the Facebook application. We decided to take a light, humoristic approach and that’s why our campaigns and videos address death in a natural, light-hearted way without being apologetic or hesitant”. “Social changes that involve existential heritage in which a person is responsible for his or her own destiny and heritage, designing it throughout their lives”. On the humor front, the ifidie application gained points when they quickly responded to the purchase of Waze by Google in 2013: anyone who looked for the URL (which has since been removed) www.googlewaze.com found themselves on an iIfidie landing page, facing the banner, “Google, meet the only app that will navigate you to your final destination”. Founders: Shlomo Silverstone, Eliezer Cohen and Debra Eisenberg. Management in Jerusalem, marketing in the US. Finances: Following the self-funding stage, the company raised investments from an ‘angel’ investor. Subscription business model. Target audience: Funeral homes and retirement homes, mainly in the United States. LifeVU offers funeral homes a package that includes building profiles for their clients and using them throughout the funeral service. Friends and family are invited to post stories, condolences and pictures to the profile from any mobile gadget. This enables real-time construction of the slideshow they are viewing during the funeral. Every profile is given a link to a feature in the system that collates all profile activity to an updating presentation that the funeral home broadcasts on screens / projectors in real-time. As it is online, the family and the bereaved can “take” the profile and later on screen it at home, in a family ritual and so on, and it can also serve as an updated digital album. What problems does this service address? Shlomo Silverstone: “The service provides solutions for the inability of social networks to cope with personal relationships among people after the death of a loved one. Another solution is regarding the market: funeral home directors see the long-term abandonment of this generation and the financial loss that entails. The belief is that by including innovative digital elements – such as a designated social network – will bring back the young, technological generation". What differentiates this project from others in this field? “Our overall aim is to bring together, on a uniform platform, a designated social network that will run in all funeral homes. This uniformity will provide a solution to the existing confusion among family and friends of the deceased regarding where exactly to send condolences: through a general condolence site? Through the funeral home site? Does the funeral home have a site? Is the site adapted to mobile devices? Does it have the option of sending condolences? What type of condolences does it allow – text only? A picture? Something else? Will anyone see it was sent? With LifeVU, any activity that takes place on the profile appears instantly – not only on the funeral home screens but also on the Facebook page of the friends of the person who posted the picture, condolences, memory etc. to the profile. This allows the extended circle of friends and family to participate – including those who are not at the ceremony itself for various reasons. It also enables advertising the funeral home and this is the innovation of this service”. “Developing a social network to commemorate beloved pets”. “We are working in this area specifically in order to create something new that bridges the gap between life and the period when life ends. Although it is commonly held, usually for good reason, that this market is very backward compared to other fields, we see an honest and real attempt on behalf of funeral home directors to ‘catch up’ to the 21st century lifestyle. This is an attempt to change the concept of worldwide interaction during funerals and during the whole period following death. There is no longer any need to broadcast the ceremony from the funeral home, which is expensive and uses many resources. This brings the outside in – meaning the friends, the family, the wider circle of life, and those who couldn’t participate. It brings them into the ceremony, into the funeral home, in full view of the bereaved. There is no longer a need to turn Facebook pages into memorial pages, which can cause much unpleasantness. Instead we are providing access to a social network designated for the deceased’s loved ones after he or she dies”. Founders: Meir and Asi Ohana, twin brothers. Management and R&D in Petah Tikva; design in London; management, marketing and investment in the US. Target audience: The general public. About five years ago, Meir and Asi were living in the US and they returned to Israel to pay a condolence visit to the family of a good friend who had been killed. The friend’s mother was very moved to see a picture of her son she had never seen before on Meir’s mobile phone screensaver, so she asked him to send it to her. It was then the brothers realized that nowadays when a person dies there are many pictures, videos and stories of them spread among their friends. They thought it would be a good idea to set-up a website that would concentrate all this valuable information in one place that everyone could visit and see, and they set up memories.com. How does your site help commemoration? Meir Ohana: “The site allows assembling memories from those who knew the deceased without having to contact them directly; controlling all the content gathered and deciding what content will be publicized and what won’t. You can make separate decisions regarding the privacy or sharing of each album, picture, video or story. The site also serves as a social network that allows commemoration in a way which is simultaneously public and private”. “For the site to become the main platform in the world for commemoration and retaining memories”. “The site is intended for anyone who wants to commemorate their loved ones. In addition, we are also working on a development that allows people to preserve their memories while they are alive. Nowadays there is a shift in perception, the fact is that almost none of us know who are grandparents were or the generation before them. In future we will be able to enter the memory albums of our ancestors, know where we came from and so better understand our roots. The site was constructed on an optimistic note. Our approach is that life goes on, and despite the pain we need to go on living and enjoying life”. Founder: My Heritage: Gilad Japhet. Head offices are in Israel, with additional offices in the US. Over 200 employees worldwide. They work in collaboration with BillionGraves but do not own them. Finances: MyHeritage raised $49 million from private investors and venture capital funds. Listed users: MyHeritage: some 80 million. The BillionGraves project works in collaboration with the MyHeritage family tree site. Together they are creating a digital archive of gravestones all over the world: users photograph a gravestone using an application and the picture is uploaded to the site with an automatic notation of the coordinates. Volunteers type in the text on the gravestones. What is special about your services? Aaron Godfrey, MyHeritage marketing director: “We created a global sharing tool that enables preserving the family story by gathering information about the family from different sources. We help people discover more about their family history”. BillionGraves: “Advanced technology (awaiting patent) offering support in 42 languages; a system that enables handling Gregorian, Hebrew and Julian dates; and GPS location of the gravestone”. “In MyHeritage we want to build a knowledge base so rich and interconnected that it allows everyone who is interested to discover, share and preserve their family history and meaningful family moments. We want to empower people with an understanding of who they are and with a sense of belonging. As a result we are also able to use our information for the greater good, for example by locating the heirs to property looted by the Nazis”. Founder: Shelly Furman Asa, home office. Finances: Private funding. The business model will be examined later on, after the next version of the site goes live. Four years ago, friends of Shelly from various European countries came on a one-time visit to Israel. Of the ten days they were here, one full day was dedicated to finding the gravestone of the grandmother of one of them (a grandmother she had never met) in a Jerusalem cemetery. After seeing the condition of the gravesite, another day was dedicated to caring for it. This experience was an eye-opener for Shelly, leading her to establish a knowledge system with an internet interface. It includes documentation and a digital archive of gravestones in Israeli cemeteries, in addition to providing a service and a location to commemorate the deceased. Shelly Furman Asa: “After standing for years, exposed to the elements, the gravestones become worn and sometimes blurred until the identity of the person buried is lost. We created an archive that perpetuates the gravestone and allows reconstructing it in future. The archive we created for digital graves enables writing an unlimited amount of text on them, unlike stone markers. There is currently no other site that contains over 130,000 gravestones in 19 cemeteries in Israel”. “I’d like to translate the site into other languages in addition to Hebrew, and expand the circle of users to include people from outside the country as well”. “When I first began working on the site and consulted people about it, I was met with many reservations: ‘Why are you dealing with death?’, ‘The site is morbid!’ and so on. As the idea matured I was able to clarify the idea and explain: Firstly, I am not dealing with death itself but with the life that preceded death. And secondly, I am dealing with the people still alive who would like a place and a focal point to be alone with their now deceased loved ones. Although this is done virtually, it still allows a physical connection to the place where the deceased departed and a link to the place where to a great extent they feel that the person is still present. Everyone dies at some point. Most leave behind people who remember them and would like to write to them, consult with them, make requests, write about them, bring up joint memories with them and so forth. On the site we see grandchildren writing to their grandparents, children writing to their parents, colleagues writing to people they worked with, students writing to teachers, and even a guy from the underworld writing to his friends ‘from that period’ about how he missed them. We have already brought together family members who did not know how to find each other. They left digital letters on the gravestone of a beloved uncle. In this way their cousins were able to find them and renew the relationship. There are many such requests on the site. Although the information on the site is personal, the picture that arises is of historic events in the life of the Jewish people and the Jewish settlement of Israel, told from many personal aspects. The site is a historic documentation archive. We have correct details that are more accurate than those in historic archives – even the ones in Yad VaShem”. Founders: Alon Nativ and Roni Nimri (Aley Shalechet). R&D in India and Israel, management and design in Israel. Office in Ra'anana. Target audience: The general public, funeral homes, burial societies, organizations interested in providing their members with a free commemoration area. This is a platform for constructing commemoration and memorial sites. The service allows private users to construct and store a commemoration site for free. Organizations and institutions can construct a site to commemorate members. Gil Arbel, VP: “The opportunity to easily construct a memorial site, even without prior knowledge, through a user-friendly wizard. I don’t believe that there is anything different from other memorial sites, possibly other than local reference in Hebrew. The whole micro-cosmos of this niche offers practically the same thing, some are better than others. It must be kept in mind that platforms such as WIX are undermining the need for designated platforms for memorial sites”. In that case, why is personal memorials necessary? “The field of a person’s last rites continues to be very conservative. Having said that, all over the world the field of after-death sites is growing, as technology is permeating even into the most conservative fields. We offer private end users access to information regarding their family heritage. We offer organizations the option of constructing a heritage, the consequences of which is being realized only by the current generation in Israel”. “Integration into funeral home sites around the world”. Founders: Moran Zur. Investor: Yaakov Engel. Office in Tel Aviv. Finances: Independently funded by the founder and the investor. Target audience: The general public, focusing on people over 60 and people at high risk due to illness, occupation or other reasons. This service enables users to store personal messages on video, text, pictures, audio or other formats, and determine who will receive them and when. Among other things one can set a date, place or event that will serve as a precondition for sending the message, a message to be posted on Facebook or Twitter etc. The site also allows sending access passwords and account details according to user guidelines. 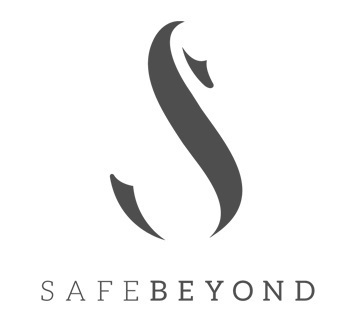 SafeBeyond is the result of the founder coping with his father’s death, and later on having to deal with his wife’s cancer. What are you actually offering? Moran Zur: “We offer a solution to the human need to continue accompanying our loved ones even after we die. The initiative will help cope with death better through personal messages and content that will be released after death. These releases for the designated beneficiaries will be based on triggers pre-determined by the user, and only at the appropriate time and place after the user is deceased. Leaving an emotional inheritance can be no less important, if not more important, than leaving a physical inheritance”. “To reach every home in the world”. “In the technological era we can identify a real need to replace the deceased’s “shoebox of memories” and adapt the digital inheritance to the beneficiary. We suggest retaining each person’s heritage and messages and allow passing them on from generation to generation. At the same time this allows us to better manage all the assets we accumulate in the digital world, many of which currently fall between the cracks after our death. After the social networks based themselves as an integral part of the daily life of millions of people, there is real readiness and curiosity among users to adapt themselves to the digital era in this sensitive field as well. Over the past decade we have witnessed a massive shift to saving information on digital disks, and currently also to storing them in a ‘cloud’. As a result, it is highly important to manage and save this information”. Was first posted in Hebrew in September 2015 in Geektime and in the blog. My heartfelt thanks to Rachel (Berman) Madar for translating. So What is it That I'm Saying, Exactly? How to Handle a Computer Belonging to a Deceased Relative? A first of its kind survey in Israel: what shall we leave behind? Heading Towards a Change in Israeli Legislation? Call for papers for the 4th "Death Online Research Symposium"
The 3rd "Death Online Research Symposium"
A New Project Launched in the UK: "Digital Remains"
What Shall We Leave Behind? Who Knew Eating Cereal Could Be So Moving? Why Are There so many Services to Preserve Virtual "Tombs" of Yourself Online? Licensed under a Creative Commons Attribution-NonCommercial-ShareAlike 2.5 Israel License. Awesome Inc. theme. Powered by Blogger.